The worse of the two is exemplified in this post. In this example, the main difference between them, would be the spectator’s level of introspection. 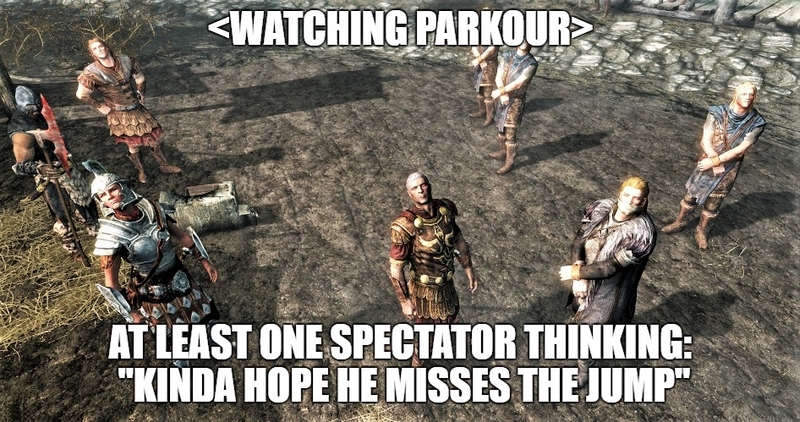 Want more parkour-skit? Check out another shadowy side of parkour, like this one in post-apocalyptic Boston. Disclaimer: The author of this article finds parkour “lit & legit” as the young’n’s say at the current time. Secret disclaimer: There’s a slight possibility that there’s a ton more types of spectator’s, but for the convenience (and dramatically reducing the work needed to make this) of this “article”, just two of them were considered, and presented.